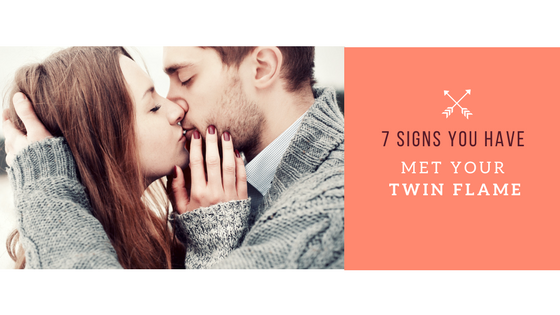 Twin Flames – 7 Signs You Have Met Yours. Maybe you have heard about twin flames but don’t know exactly what it refers to. Apart from soul mates, twin flames are initial counterparts of a soul from the moment of its creation, in other words, “the other half” of an over-soul that has fragmented into two individual souls. It is said that each individual soul as part of the Creation has but one twin-flame, and the chances that you’ve found your twin flame are pretty slim. Still, not being in a relationship with your twin flame here on earth doesn’t mean that you’re not in a full-loving and beautiful relation with another soul, of course, it is very possible. Twin flames tend to recognize each other by having an inexplicable feeling that they know each other. If you’ve experienced this feeling that you “recognize” a person that feels like a deja-vu, they may be your twin flame. Another feeling that you get is that you’re meant for each other, meant to be together. Your twin flame is or your mirror soul is here to bend your, stretch you and transform you into your highest true self. And although this may sound so good, as an experience it can be rather harsh, traumatic or extremely difficult for the less evolved soul in the relationship. The relationship sometimes feels that it’s not easy, relationship issues arise but what is true is that your twin flame wants what is in your best interest solely, although the transformation may be painful. At times one may feel anxious and may not trust the other one for being so different from all they have known so far, that they may fight against them, until they understand that all that work is for their own good, for their personal awakening and evolution as a spirit. One of the two souls in a twin soul relation is more evolved spiritually than the other, so in a sense, the relation may feel as a disciple and master type of interaction, and the most important aspect of the relationship is spiritual awakening and evolution. For the less evolved soul, it may feel like they need to change the beliefs that do not belong to them and discover their true self. At the same time, they feel assisted and helped 100% by the other one in the relationship that knows what’s in their best interest at times. When you’re with your twin flame you can be yourself, no matter the flaws you think you have and without the fear of being judged, persecuted or rejected. The feeling that you are that you’ve finally found your home, a safe place together with this wonderful being. They offer you a reflection of what you think you are, of your beliefs and together with it, your deepest fears and limitations. In a sense, your twin flame is a mirroring of what you fear the most and what you want the most at the same time, all for a higher purpose, that of your inner healing. In this sense, your twin flame may cause you to be angry and anxious all with the purpose of teaching you some valuable lessons about inner fears and the wounds of our soul. At the same time, you are each others’ balance, the yin and the yang of your co-creation. Your negative side is balanced by their positive side and vice-versa. Although a twin flame relation may sometimes be uncomfortable because of the unpleasant things you may find out about your construction of the self, there is a magnetic attraction that drowns you to each other. So, at any point in time, you feel you want to step out of the relationship or try to avoid your twin flame, you’ll change your mind. When you are together you are attached to one another, but free at the same time, enclosed but at the same time separated. A twin flame relationship will always feel like an expression of freedom. Both of you will keep and stick to your own personal freedom as this relationship praises freedom with all costs. Freedom can also be understood as having a deeply sincere relationship. Twin flames are sincere and honest to one another about anything and everything, adding a whole level of freedom of expression into the relationship as well. Ultimately, a twin flame relationship feels that you have a higher purpose that has brought you together, your relation will get you there, no matter it is a spiritual, social, ecological, scientific or political one. Another thing to understand, your twin flame is never in a competition with you but is here to complete you and make you a whole. Even if you won’t find your twin flame in this physical reincarnation, you can keep them close to you, deep in your soul, if you constantly work on your personal awakening and spiritual evolution. Do You think you have found your Twin Flame? Want to be sure and know where you’re twin flame /Love soul mate relationship leads? A specialized Twin Flame / Love Soul Mate tarot reading by me can help you gain clarity through your unique romance connection. Check out my Special selection of Love Tarot Readings Here: Let me help you answer your pending questions about him/her. This includes an audio recording and the tarot spread image emailed to you after the reading. A Regular phone tarot reading with me allows you to ask and have answer you’re specific important questions about any matter. Find out what is to come generally in your life, about the person in your heart or simply messages from spirit to you. Ask anything. I am here to help you. 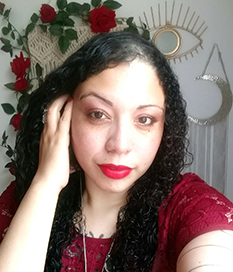 Hi, I am Emilie (Emmy) I am a professional tarot reader from NYC who is well versed in tarot divination, lenormand divination, Coffee cup divination, dice and more. I am a spiritualist and combine my divination readings with my intuition to give you the most accurate reading. I offer specialized phone love tarot readings, In-depth phone tarot readings, and also offer regular phone tarot readings where you can ask all that your heart desires. Subscribe below ⇓ Find out if Your and your love are a match and ways to ignite your romance through the Zodiac. Bonus: Gain exclusive discounts, FREE downloads, and info on my in-person upcoming events. I’m daying for a reading from you. look at the signs and see if these apply to your relationship. There are 2 women I’ve known who fall within those 7 laws. I know a person can have multiple soulmates. Can one also have more than one twin flame? Wow, yes, convinced I know him. We’ve chatted & there’s a deep connection. Not seeing him, but talking, but signs all fits that you have listed. I believe he’s a bit afraid. Your cards for this week I picked right one. Him & I got into it a bit, but then we both sort of left it go at same time. And we can sort of read each others minds, but yet get wearly too. I just wonder if we’ll get together at some point. You think it could happen? Thank you for this interesting post as it is so much different from what I have read til now considering twin flames. Twin flames and soulmates are concepts that people are interested in because they represent the idolized love. As a past life therapist, I have met many twin flames in this lifetime and past lives. The truth is that twin flames are soulmates who got into a sacred union. So this divine marriage is the ultimate connection of two soulmates who want to walk the same path. Twin flames do not come from the same soul who split in two parts but instead they are two different souls who decided to get their relationship to the next level. This concept honors the soul as it does not need someone to complete them but someone who can deeply understand them in every aspect. Now when it comes to the signs, I will totally agree with what you wrote. It is such an intense connection that there is no way you bypass it. Telepathy and vivid or lucid dreams can also be signs that you have met your twin flame as well.